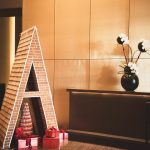 The team at Armani Hotel Dubai has worked their festive magic throughout the hotel to bring guests a carefully curated collection of seasonal dining experiences that ticks all the boxes. From a subtle flavour of the season at the Armani/Lounge festive afternoon tea and choice of celebratory Christmas Eve and Christmas Day menus with European, Indian and Italian influences, to the popular II Brunch Italiano at Armani/Deli on 25th December, they have a venue and menu for every occasion. Christmas in Milan is unlike anywhere else in the world: window displays in the Montenapoleone district illuminated with holiday cheer and the magic of Piazza del Duomo. Treat yourself to a relaxing stay where you can spend quality time with your loved ones and celebrate the New Year surrounded by the stunning setting of the seventh floor, with a breath-taking view over the skyline. 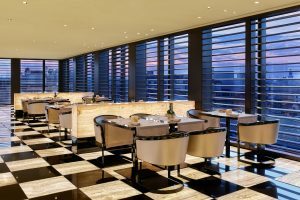 A ‘Stay with Armani’ is just as unique and the great way to spend your time during the festive season allowing you to immerse in the luxurious distinction of pure Armani style.